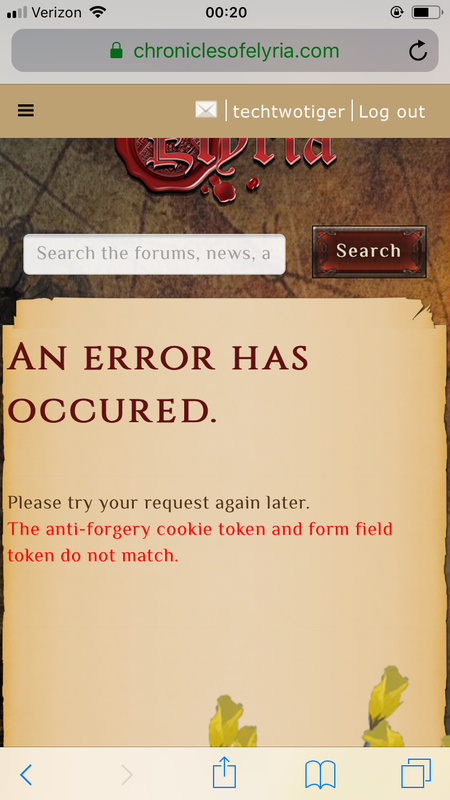 2/8/2019 8:39:23 AMAnti-forgery cookie token? If you could please try again and desktop and report your findings, it would be helpful. Also, for a deeper dive into what may be wrong, if you want to send us an email to support@soulboundstudios.com, we can help you further.